Our Houston Emergency Room in Cypress – FM 1960 area is now open. 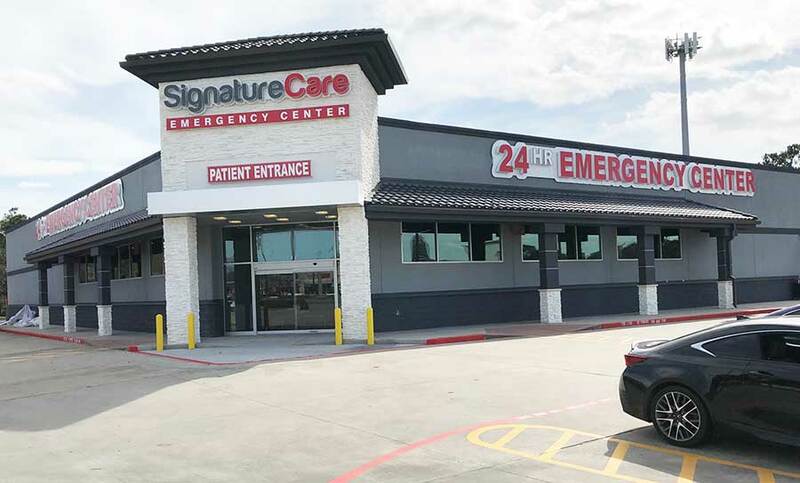 SignatureCare Emergency Center is proud to announce that our ultra-modern 24-hour emergency room (ER) located in the Cypress-1960 area of Houston is now open and providing quality ER care to residents and businesses in North Houston. The new emergency center serves residents of Cypress Station, Champions Forest, Willowbrook, Spring, Hufsmith, Tomball, Klein, Kohrville, Humble, Pinehurst, Jersey Village, Westfield, Aldine, The Woodlands, Cypress, Rose Hill, Hockley, and other communities around the 77069 zip code. Our Cypress emergency room is fully equipped with an onsite laboratory and X-ray, Ultrasound and multi-slice CT scan. As always at SignatureCare, we pride ourselves on having little to no wait time to see a physician. When you and your family visit our new Cypress, Houston location, you will be seen by board-certified ER physicians, licensed ER nurses and experienced support staff who are trained to handle all kinds of minor and major medical emergencies for adults and children (pediatrics). We also take care of dental emergencies. Medical testing for STDs, HIV, etc. Why Choose Our 24-Hour Cypress-FM 1960 Emergency Room?